The set of grips (sometimes called stocks) on a revolver can really dramatically change its characteristics--from really low profile for greater concealment to big, bulky rubber things to soak up recoil and increase shooting comfort. Of course, having those choices leads you down the inevitable goldilocks path to find the grips that are just right. 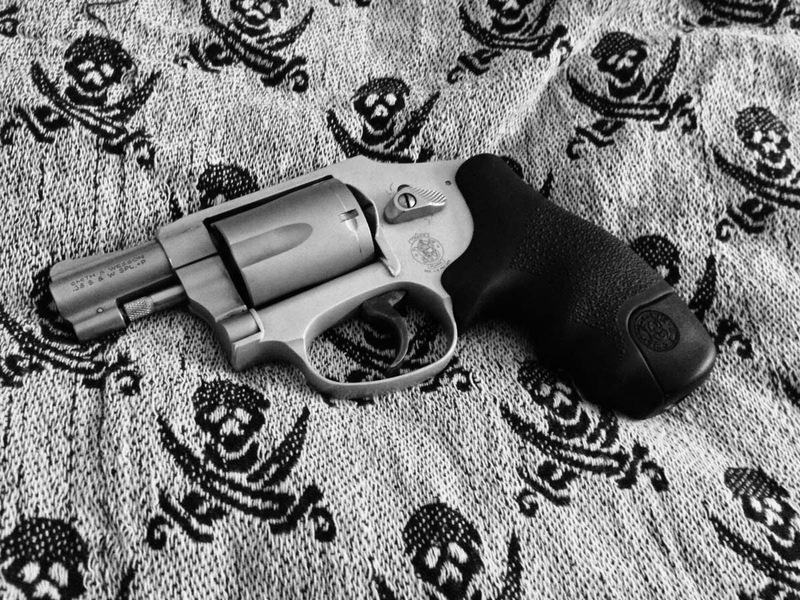 The Smith and Wesson J-frame revolver has a multitude of aftermarket grips, but many suffer from one shortcoming or another. I've tried a several of the best aftermarket grips on the market and did a quick review on them a while back. Way back then, I wrote about wanting to try out the Hogue Tamers, which are essentially the same grips that come on Ruger's LCR line of pistols. They looked like a pretty good happy middle ground. I put in an order with Hogue, which ended up getting cancelled due to backorder status. Then, the Tamers were out of stock everywhere. Eventually I forgot about 'em, mildly satisfied with my old school wood and Tyler T-Grip combo. A range trip a few weeks back ended up with a thumb bleeding after getting scraped during recoil...this time around, the Tamers were in stock. I ordered some up, uncertain with how well they'd do. Part of the challenge with the J's, especially the Airweights, is the amount of recoil they generate, which can make practice painful and ruin follow-up shots. I've found this to be an issue on any grip with an open, bare back strap. The width of the wood grips actually helps a bit versus the thinner 'boot' grips out there, but it's still becomes a bit abusive to shoot after more than a few cylinders of regular .38 special. On the other hand, the bigger grips with a covered/padded back straps can plain ruin the concealment characteristics of the snubbie. Some people switch grips around - big rubber grips for range, slimmer grips for carry, or they'll have separate guns. To me, that largely defeats the purpose - the shooting characteristics of the revolver are dramatically different when you swap out the grips. You want to practice with what you carry, not some gimped, 'range'-only version. So, there's the tradeoff between concealment and shooting comfort. On top of that, a large number of grips are not compatible with speed loaders, which is ridiculous. Surprisingly, there aren't really many options out there that try to strike a happy medium. I am glad to report that the Hogue Tamers do just that. They're not too big and not too small...for me, they are a very good compromise in terms of concealment and shootability. 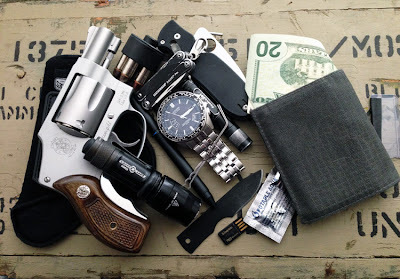 Though they do add bulk, the snubbie is still easily pocket carried. They work with speedloaders, too--very well, as a matter of fact. The Tamer's standout feature is a specially padded back strap, located right where the J-frame usually jams into the web of your hand during recoil. It's a little bit softer and squishier, really helping to soak up the recoil. That recoil mitigation dramatically helps with controlling the snubbie under recoil and speeds up follow-up times. It also makes shooting the J-frame a lot more comfortable. With slimmer grips, I can get maybe 25 rounds in before my hand really starts to feel it. Not a big deal in a defensive situation, but a detriment to practice. With the Tamers, extended shooting sessions are no problemo. So, if you've got a J-frame that you carry a lot but shoot a little, or one that you've shoved into the back of the save because it's no fun to shoot, drop $21 on a set of Tamers and you'll have what will seem like a whole new gun.